Lost Track - a photographic exploration into the history of the Burma-Thailand Railway. In June 1942 the Japanese Army decided to build a 415-kilometre railway by making use of forced labourers and prisoners of war. Sixteen months later the tracks were finished but also more than 99,000 people had died due to bad circumstances. The authors grandfather was one of the prisoners of war who survived this torture; it was due to the intriguing stories he heard during his childhood that he decided to search for the diminishing traces of a long forgotten past. 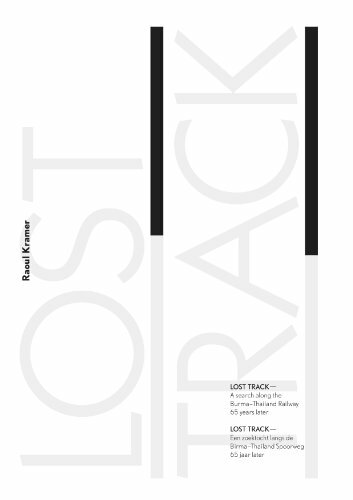 Lost Track takes a conceptual approach on this topic by combining archive material with contemporary photographs and self-written texts. The result is a visual investigation where the viewer is invited to make a journey through time via abstract landscapes and mysterious still-life images.